further than Colerain Denture Center! visiting a dentist, please give us a call! We’ll work to customize your dentures to fit your unique bone structure; Repairs can be done while waiting and relines on the same day! You’ll notice immediate results by having a mini dental implant installed through our simple procedure. Feel confident knowing your missing teeth will be replaced by a dental implant or a bridge for a reasonable price. Most denture and partial repairs can be done on the same day. We have been providing denture repair services for the past 30 years. We also do laboratory relines of your dentures on the same day. If you have a broken denture or partial, let Dr. Richter take a look at it and he will tell you if it can be fixed. If you are interested in a reline of your dentures or partial you will need a morning appointment! From denture repair to placing partial dentures, Colerain Denture Center Dr. Timothy Richter can help you improve your smile and your oral function. There’s A Lot We Can Do To Get Your Smile Back! Great place to visit for affordable dentures. Makes the process as painless as possible. Able to get patients in quickly for adjustments and maintenance. Looking for a great place for dentures, this is the place. Very little pain and great out come. Good care all around. We are all about improving the smiles of our patients with fast and effective dental services. In fact, most of our denture and partial repairs are completed within the same day. 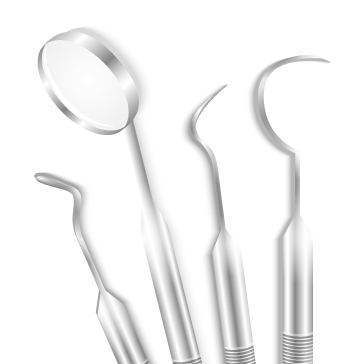 You can depend on us to provide you with high-quality dental services offered at affordable prices. Contact us today for a FREE consultation.